If you run a business of any sort, you should always be aware of the security of your data. Even if your paperwork is restricted merely to accounts books and bank statements, you still have to be incredibly careful of what you throw away. This concern becomes crucial when you deal with files containing personal data. Under the Data Protection Act, all businesses and organisations have a legal duty to ensure data is handled securely, even after it is no longer on company premises. This includes after you have handed it over for waste disposal. If you’re not careful, you may be fined up to £500,000 by the Information Commissioner’s Office. This is no idle threat – companies large and small have been handed not insignificant fines for data handling mistakes. So, what do you do? Firstly, you can ensure that your data is secured on site safely, and only those with suitable clearance being able to access it. This is true for both computerised records, printed paper or any other technology such as microfiches. When data is no longer useful, records must be disposed of securely an responsibly, and in a manner that means that it cannot be intercepted or read by third parties. We’ve seen with our own eyes (many years ago, mind you) companies lighting a bonfire of old records and watching as the billowing heat takes individual sheets of paper up, up and away. Try that now, you will be getting a visit from the police before you know it. 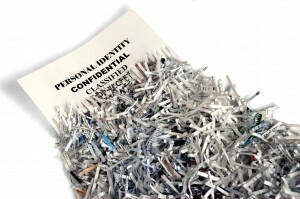 The answer, of course, is to shred your data and ensure that it is taken away by a trustworthy contractor. 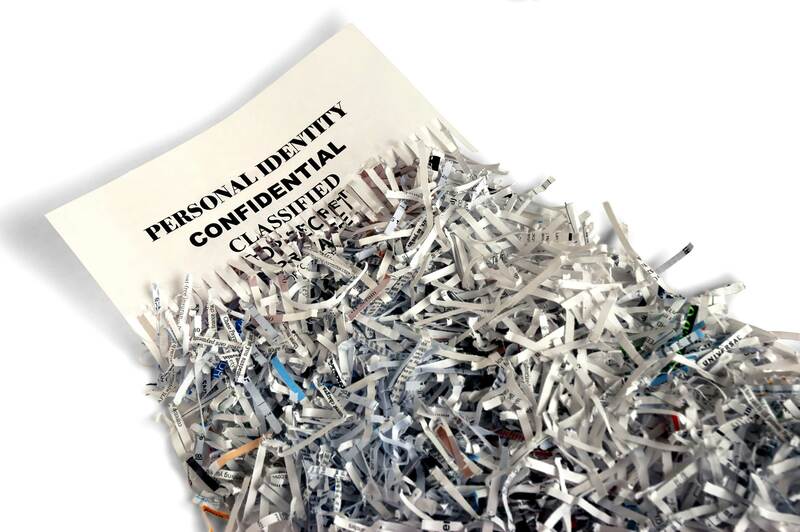 Simple shredding is often no longer adequate, with patient criminals able to piece together whole sheets of sensitive records plucked from unguarded sacks of waste. Paper records should be cross cut to the smallest possible size, then well mixed to even the most determined of crooks wouldn’t know where to start. Then make sure that the company contracted to dispose of your waste is trustworthy. That’s simple: ask if they’re a member of the British Security Industry Association, and process in accordance with the BS EN 15713 security shredding standard. On top of that, you might want to make sure collectors are CRB checked. Your security is important – not just to your company, but to your customers and suppliers as well.